College of Mechanical Engineering, No. 19, Xuefu Ave., Nan’an Ditrict, Chongqing Technology and Business University, Chongqing 400067, China. The scroll profile plays a very important role in the design of a scroll vacuum pump in oil filter. Therefore, a geometric general form of the scrolls based on Whewell equation was developed in this study. The general planar curve form of the scrolls was specified using the Whewell equation, which consists of three segments and it is easy to analyze and optimize. The analysis reveals that the general model can contain most scrolls based on circle. 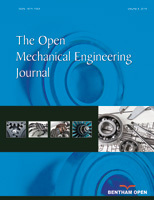 A general design and multi-objective optimization process for the profile of scroll vacuum pumps was proposed. The design and optimization process was developed based on geometric and multi-objective considerations. The Nondominated Sorting Genetic Algorithm was applied to this multi-objective optimization question. The finite element method/FEM is the kernel of the approach. The scroll components work in a high pressure and high temperature environment, which results in the deformation of the scroll wall. The FEM and optimization can evaluate the deformation due to the cutting force and compensate accordingly.